Duisberg c. 1595. French text on verso. 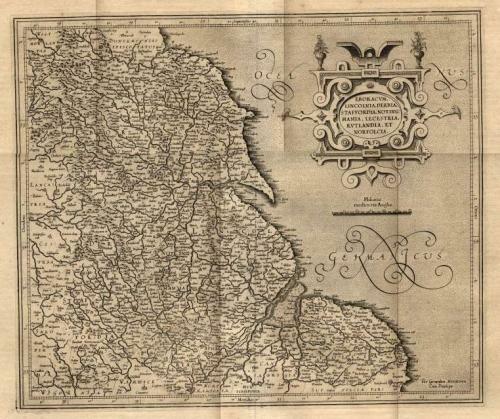 A map of the eastern part of England from about Middlesbrough to Yarmouth and inland to include Coventry, Nottingham, Sheffield, Leeds, and York. A map from a master. Gerard Mercator is probably only second to Ptolemy in his influence on the development of cartography. In good condition with much detail of the towns and villages of Elizabethan England.